Istanbul ( , or ; Turkish: İstanbul [isˈtɑnbuɫ]), historically known as Constantinople and Byzantium, is the most populous city in Turkey and the country's economic, cultural, and historic center. Istanbul is a transcontinental city in Eurasia, straddling the Bosphorus strait (which separates Europe and Asia) between the Sea of Marmara and the Black Sea. Its commercial and historical center lies on the European side and about a third of its population lives on the Asian side. The city is the administrative center of the Istanbul Metropolitan Municipality (coterminous with Istanbul Province), both hosting a population of around 14.7 million residents. Istanbul is one of the world's most populous cities and ranks as the world's 7th-largest city proper and the largest European city. After Constantine the Great made it the new eastern capital of the Roman Empire in 330 CE, the city became widely known as "Constantinopolis" (Constantinople), which, as the Latinized form of "Κωνσταντινούπολις" (Konstantinoúpolis), means the "City of Constantine". He also attempted to promote the name "Nova Roma" and its Greek version "Νέα Ῥώμη" Nea Romē (New Rome), but this did not enter widespread usage. 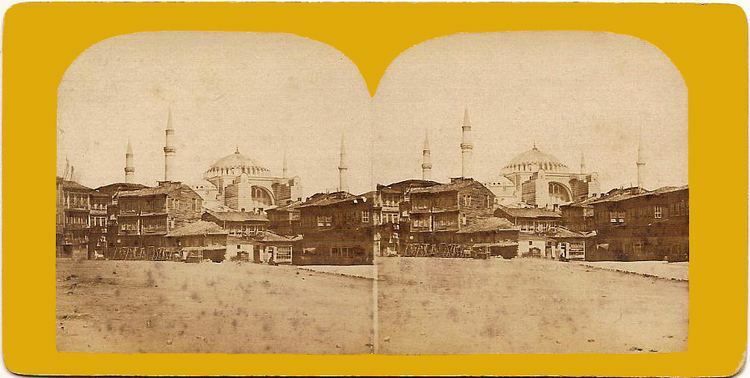 Constantinople remained the most common name for the city in the West until the establishment of the Turkish Republic, and Kostantiniyye (Ottoman Turkish: قسطنطينيه‎) and Be Makam-e Qonstantiniyyah al-Mahmiyyah (meaning "the Protected Location of Constantinople") and İstanbul were the names used alternatively by the Ottomans during their rule. 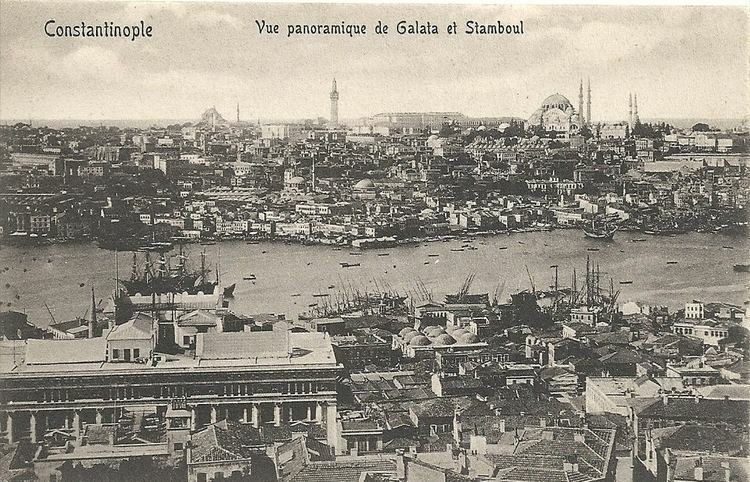 The use of Constantinople to refer to the city during the Ottoman period (from the mid-15th century) is now considered politically incorrect, even if not historically inaccurate, by Turks. The name İstanbul (Turkish pronunciation: [isˈtanbuɫ], colloquially [ɯsˈtambuɫ]) is commonly held to derive from the Medieval Greek phrase "εἰς τὴν Πόλιν" (pronounced [is tim ˈbolin]), which means "to the city" and is how Constantinople was referred to by the local Greeks. This reflected its status as the only major city in the vicinity. The importance of Constantinople in the Ottoman world was also reflected by its Ottoman name 'Der Saadet' meaning the 'gate to Prosperity' in Ottoman. An alternative view is that the name evolved directly from the name Constantinople, with the first and third syllables dropped. A Turkish folk etymology traces the name to Islam bol "plenty of Islam" because the city was called Islambol ("plenty of Islam") or Islambul ("find Islam") as the capital of the Islamic Ottoman Empire. It is first attested shortly after the conquest, and its invention was ascribed by some contemporary writers to Sultan Mehmed II himself. Some Ottoman sources of the 17th century, such as Evliya Çelebi, describe it as the common Turkish name of the time; between the late 17th and late 18th centuries, it was also in official use. The first use of the word "Islambol" on coinage was in 1703 (1115 AH) during the reign of Sultan Ahmed III. Nevertheless, the use of the name Constantinople remained common in English into the 20th century, Istanbul became common only after Turkey adopted the Latin alphabet in 1928 and urged other countries to use the city's Turkish name. In modern Turkish, the name is written as İstanbul, with a dotted İ, as the Turkish alphabet distinguishes between a dotted and dotless I. In English the stress is on the last syllable (bul), but in Turkish it is on the second syllable (tan). A person from the city is an İstanbullu (plural: İstanbullular), although Istanbulite is used in English. Constantinople began to decline continuously after the end of the reign of Basil II in 1025. The final blow was given by the conquest of Villardouin and Enrico Dandolo in 1204 during the Fourth Crusade, where the City was sacked and pillaged. The city subsequently became the center of the Latin Empire, created by Catholic crusaders to replace the Orthodox Byzantine Empire. Hagia Sophia was converted to a Catholic church in 1204. The Byzantine Empire was restored, albeit weakened, in 1261. Constantinople's churches, defenses, and basic services were in disrepair, and its population had dwindled to a hundred thousand from half a million during the 8th century. After the reconquest of 1261, however some of the city's monuments were restored, and some, like the two Deisis mosaics in Hagia Sofia and Kariye, were created. In the Köppen–Geiger classification system, Istanbul has a borderline Mediterranean climate (Csa), humid subtropical climate (Cfa) and oceanic climate (Cfb), due to its location in a transitional climatic zone. Since precipitation in summer months ranges from 20 to 65 mm (1 to 3 in), depending on location, the city cannot be classified as solely Mediterranean or humid subtropical. Due to its size, diverse topography, maritime location and most importantly having a coastline to two different bodies of water to the north and south, Istanbul exhibits microclimates. The northern half of the city, as well as the Bosporus coastline, express characteristics of oceanic and humid subtropical climates, because of humidity from the Black Sea and the relatively high concentration of vegetation. The climate in the populated areas of the city to the south, located on the Sea of Marmara, is warmer, drier and less affected by humidity. The annual precipitation in the northern half can be twice as much (Bahçeköy, 1166.6 mm), than it is in the southern, Marmara coast (Florya 635.0 mm). There is a significant difference between annual mean temperatures on the north and south coasts as well, Bahçeköy 12.8 °C (55.0 °F), Kartal 15.03 °C (59.05 °F). Parts of the province that are away from both seas exhibit considerable continental influences, with much more pronounced night-day and summer-winter temperature differences. In winter some parts of the province average freezing or below at night. Dolmabahçe Palace, the seat of government during the late Ottoman period, is located in the Beşiktaş district on the European shore of the Bosphorus strait, to the north of Beyoğlu. The Sublime Porte (Bâb-ı Âli), which became a metonym for the Ottoman government, was originally used to describe the Imperial Gate (Bâb-ı Hümâyûn) at the outermost courtyard of the Topkapı Palace; but after the 18th century, the Sublime Porte (or simply Porte) began to refer to the gate of the Sadrazamlık (Prime Ministry) compound in the Cağaloğlu quarter near Topkapı Palace, where the offices of the Sadrazam (Grand Vizier) and other Viziers were located, and where foreign diplomats were received. The former village of Ortaköy is situated within Beşiktaş and gives its name to the Ortaköy Mosque on the Bosphorus, near the Bosphorus Bridge. Lining both the European and Asian shores of the Bosphorus are the historic yalıs, luxurious chalet mansions built by Ottoman aristocrats and elites as summer homes. Farther inland, outside the city's inner ring road, are Levent and Maslak, Istanbul's main business districts. Istanbul does not have a primary urban park, but it has several green areas. Gülhane Park and Yıldız Park were originally included within the grounds of two of Istanbul's palaces—Topkapı Palace and Yıldız Palace—but they were repurposed as public parks in the early decades of the Turkish Republic. Another park, Fethi Paşa Korusu, is situated on a hillside adjacent to the Bosphorus Bridge in Anatolia, opposite Yıldız Palace in Europe. Along the European side, and close to the Fatih Sultan Mehmet Bridge, is Emirgan Park, which was known as the Kyparades (Cypress Forest) during the Byzantine period. In the Ottoman period, it was first granted to Nişancı Feridun Ahmed Pasha in the 16th century, before being granted by Sultan Murad IV to the Safavid Emir Gûne Han in the 17th century, hence the name Emirgan. The 47-hectare (120-acre) park was later owned by Khedive Ismail Pasha of Ottoman Egypt and Sudan in the 19th century. Emirgan Park is known for its diversity of plants and an annual tulip festival is held there since 2005. The AKP government's decision to replace Taksim Gezi Park with a replica of the Ottoman era Taksim Military Barracks (which was transformed into the Taksim Stadium in 1921, before being demolished in 1940 for building Gezi Park) sparked a series of nationwide protests in 2013 covering a wide range of issues. Popular during the summer among Istanbulites is Belgrad Forest, spreading across 5,500 hectares (14,000 acres) at the northern edge of the city. The forest originally supplied water to the city and remnants of reservoirs used during Byzantine and Ottoman times survive. Since 2004, the municipal boundaries of Istanbul have been coincident with the boundaries of its province. The city, considered capital of Istanbul Province, is administered by the Istanbul Metropolitan Municipality (MMI), which oversees the 39 districts of the city-province. The Turkish Statistical Institute estimates that the population of Istanbul Metropolitan Municipality was 14,377,019 at the end of 2014, hosting 19 percent of the country's population. Anther estimate is that at the same time the population within city limits was 14,657,434. Then about 97–98% of the inhabitants of the metropolitan municipality were within city limits, up from 89% in 2007 and 61% in 1980. 64.7% of the residents live on the European side and 35.3% on the Asian side. While the city ranks as the world's 7th-largest city proper, it drops to the 24th place as an urban area and to the 18th place as a metro area because the city limits are roughly equivalent to the agglomeration. Today, it forms one of the largest urban agglomerations in Europe, alongside Moscow. The city's annual population growth of 3.45 percent ranks as the highest among the seventy-eight largest metropolises in the Organisation for Economic Co-operation and Development. The high population growth mirrors an urbanization trend across the country, as the second and third fastest-growing OECD metropolises are the Turkish cities of İzmir and Ankara. Istanbul has been a cosmopolitan city throughout much of its history, but it has become more homogenized since the end of the Ottoman Empire. 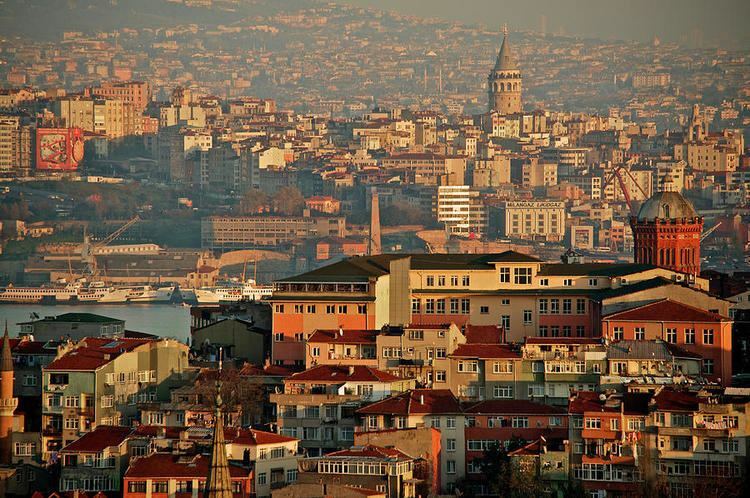 Most of Turkey's religious and ethnic minorities remain concentrated in Istanbul. The vast majority of people across Turkey, and in Istanbul, are Muslim, and more specifically members of the Sunni branch of Islam. Most Sunnis follow the Hanafi school of Islamic thought, although approximately 10 percent of Sunnis follow the Shafi'i school. The largest non-Sunni Muslim sect, accounting for 4.5 million Turks, is the Alevis; a third of all Alevis in the country live in Istanbul. 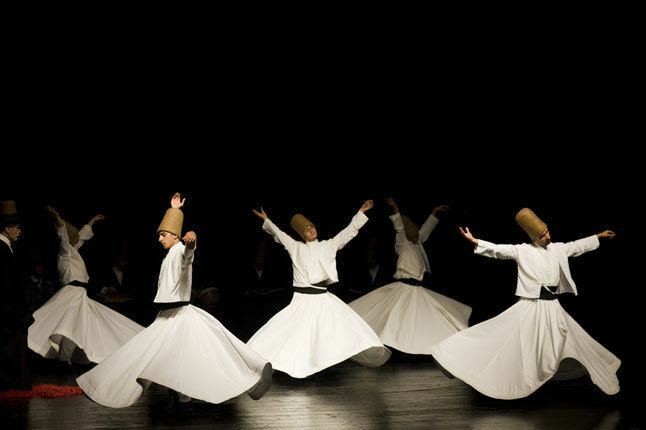 Mystic movements, like Sufism, were officially banned after the establishment of the Turkish Republic, but they still boast numerous followers. The Patriarch of Constantinople has been designated Ecumenical Patriarch since the sixth century, and has subsequently come to be widely regarded as the leader of the world's 300 million Orthodox Christians. Since 1601, the Patriarchate has been based in Istanbul's Church of St. George. Into the 19th century, the Christians of Istanbul tended to be either Greek Orthodox or members of the Armenian Apostolic Church. The headquarters of the Turkish Orthodox Church are located in the city. Because of events during the 20th century—including the 1923 population exchange between Greece and Turkey, a 1942 wealth tax, and the 1955 Istanbul riots—the Greek population, originally centered in Fener and Samatya, has decreased substantially. At the start of the 21st century, Istanbul's Greek population numbered 3,000 (down from 130,000 in 1923 and 260,000 according to the Ottoman Census of 1910 of 850,000 total). There are today between 50,000 and 70,000 Armenians in Istanbul, down from 164,000 in 1913 partly due to the Armenian Genocide. Christians made up half the population of the city in 1910. The largest ethnic minority in Istanbul is the Kurdish community, originating from eastern and southeastern Turkey. Although the Kurdish presence in the city dates back to the early Ottoman period, the influx of Kurds into the city has accelerated since the beginning of the Kurdish–Turkish conflict with the Kurdistan Workers' Party (i.e. since the late 1970s). About two to three million residents of Istanbul are Kurdish, meaning there are more Kurds in Istanbul than in any other city in the world. There are other significant ethnic minorities as well, the Bosniaks are the main people of an entire district – Bayrampaşa. The neighborhood of Balat used to be home to a sizable Sephardi Jewish community, first formed after their expulsion from Spain in 1492. Romaniotes and Ashkenazi Jews resided in Istanbul even before the Sephardim, but their proportion has since dwindled; today, 1 percent of Istanbul's Jews are Ashkenazi. In large part due to emigration to Israel, the Jewish population nationwide dropped from 100,000 in 1950 to 18,000 in 2005, with the majority of them living in either Istanbul or İzmir. Levantines, Latin Christians who settled in Galata during the Ottoman period, played a seminal role in shaping the culture and architecture of Istanbul during the 19th and early 20th centuries; their population has dwindled, but they remain in the city in small numbers. From the increase in mutual cooperation between Turkey and several African States like Somalia and Djibouti, several young students and workers have been migrating to Istanbul in search of better education and employment opportunities. There is also a small Nigerian, Congolese and Cameroonian and North African community present. Istanbul is famous for its nightlife, as well as its historic taverns, a signature characteristic of the city for centuries if not millennia. Along the İstiklal Avenue is the Çiçek Pasajı, now home to winehouses (known as meyhanes), pubs, and restaurants. İstiklal Avenue, originally famous for its taverns, has shifted toward shopping, but the nearby Nevizade Street is still lined with winehouses and pubs. Some other neighborhoods around İstiklal Avenue have recently been revamped to cater to Beyoğlu's nightlife, with formerly commercial streets now lined with pubs, cafes, and restaurants playing live music. Other focal points for Istanbul's nightlife include Nişantaşı, Ortaköy, Bebek, and Kadıköy. Istanbul has some of Turkey's oldest sports clubs. Beşiktaş J.K., established in 1903, is considered the oldest of these sports clubs. Due to its initial status as Turkey's only club, Beşiktaş occasionally represented the Ottoman Empire and Turkish Republic in international sports competitions, earning the right to place the Turkish flag inside its team logo. Its football team has seen several periods of dominance in national competition. Galatasaray S.K. and Fenerbahçe S.K. have fared better in international competition and share the honor of winning the most Süper Lig championships: 20 and 19 times, respectively. Galatasaray and Fenerbahçe have a long-standing rivalry, with Galatasaray based in the European part and Fenerbahçe based in the Anatolian part of the city. Istanbul has seven basketball teams—Anadolu Efes, Beşiktaş, Darüşşafaka, Fenerbahçe, Galatasaray, İstanbul Büyükşehir Belediyespor and Büyükçekmece—that play in the premier-level Turkish Basketball Super League. Many of Istanbul's sports facilities have been built or upgraded since 2000 to bolster the city's bids for the Summer Olympic Games. Atatürk Olympic Stadium, the largest multi-purpose stadium in Turkey, was completed in 2002 as an IAAF first-class venue for track and field. The stadium hosted the 2005 UEFA Champions League Final. Şükrü Saracoğlu Stadium, Fenerbahçe's home field, hosted the 2009 UEFA Cup Final three years after its completion. Türk Telekom Arena opened in 2011 to replace Ali Sami Yen Stadium as Galatasaray's home turf, while Vodafone Arena opened in 2016 to replace BJK İnönü Stadium as the home turf of Beşiktaş, which won the Süper Lig in the same season. All four stadiums are elite Category 4 (formerly five-star) UEFA stadiums. Between 2005 and 2011, Istanbul Park racing circuit hosted the annual Formula One Turkish Grand Prix. Istanbul Park was also a venue of the World Touring Car Championship and the European Le Mans Series in 2005 and 2006, but the track has not seen either of these competitions since then. It also hosted the Turkish Motorcycle Grand Prix between 2005 and 2007. Istanbul was occasionally a venue of the F1 Powerboat World Championship, with the last race on the Bosphorus strait on August 12–13, 2000. The last race of the Powerboat P1 World Championship on the Bosphorus took place on June 19–21, 2009. Istanbul Sailing Club, established in 1952, hosts races and other sailing events on the waterways in and around Istanbul each year. Turkish Offshore Racing Club also hosts major yacht races, such as the annual Naval Forces Trophy. Today, Istanbul hosts a wide variety of periodicals. Most nationwide newspapers are based in Istanbul, with simultaneous Ankara and İzmir editions. Hürriyet, Sabah, Posta and Sözcü, the country's top four papers, are all headquartered in Istanbul, boasting more than 275,000 weekly sales each. Hürriyet's English-language edition, Hürriyet Daily News, has been printed since 1961, but the English-language Daily Sabah, first published by Sabah in 2014, has overtaken it in circulation. Several smaller newspapers, including popular publications like Habertürk and Milliyet, are also based in Istanbul. TRT-Children is the only TRT television station based in Istanbul. Istanbul is home to the headquarters of several Turkish stations and regional headquarters of international media outlets. Istanbul-based Star TV was the first private television network to be established following the end of the TRT monopoly; Star TV and Show TV (also based in Istanbul) remain highly popular throughout the country, airing Turkish and American series. Kanal D and ATV are other stations in Istanbul that offer a mix of news and series; NTV (partnered with U.S. media outlet MSNBC) and Sky Turk—both based in the city—are mainly just known for their news coverage in Turkish. The BBC has a regional office in Istanbul, assisting its Turkish-language news operations, and the American news channel CNN established the Turkish-language CNN Türk there in 1999. The Istanbul-based business and entertainment channel CNBC-e began broadcasting in 2000. Kuleli Military High School, along the shores of the Bosphorus in Çengelköy, and Turkish Naval High School, located on one of the Princes' Islands, are military high schools, complemented by three military academies—the Turkish Air Force, Turkish Military, and Turkish Naval Academies. Darüşşafaka High School provides free education to children across the country missing at least one parent. Darüşşafaka begins instruction with the fourth grade, providing instruction in English and, starting in sixth grade, a second foreign language—German or French. Other prominent high schools in the city include Istanbul Lisesi (founded in 1884), Kabataş Erkek Lisesi (founded in 1908) and Kadıköy Anadolu Lisesi (founded in 1955). Istanbul's local public transportation system is a complex network of trams, funiculars, metro lines, buses, bus rapid transit, and ferries. Fares across modes are integrated, using the contactless Istanbulkart, introduced in 2009, or the older Akbil electronic ticket device. Trams in Istanbul date back to 1872, when they were horse-drawn, but even the first electrified trams were decommissioned in the 1960s. Operated by Istanbul Electricity, Tramway, and Tunnel General Management (İETT), trams slowly returned to the city in the 1990s with the introduction of a nostalgic route and a faster modern tram line, which now carries 265,000 passengers each day. The Tünel opened in 1875 as the world's second-oldest subterranean rail line (after London's Metropolitan Railway). It still carries passengers between Karaköy and İstiklal Avenue along a steep 573-meter (1,880 ft) track; a more modern funicular between Taksim Square and Kabataş began running in 2006. The Istanbul Metro comprises five lines (the M1, M2, M3 and M6 on the European side, and the M4 on the Asian side) with several other lines (such as the M5, M7, and M8) and extensions under construction. The two sides of Istanbul's metro are connected under the Bosphorus by the Marmaray tunnel, inaugurated in 2013 as the first rail connection between Thrace and Anatolia. With the Marmaray's completion, rail use in the city is expected to increase to 28 percent (from 4 percent), behind only Tokyo and New York City. Until then, buses provide transportation within and between the two halves of the city, accommodating 2.2 million passenger trips each day. The Metrobus, a form of bus rapid transit, crosses the Bosphorus Bridge, with dedicated lanes leading to its termini. İDO (Istanbul Seabuses) runs a combination of all-passenger ferries and car-and-passenger ferries to ports on both sides of the Bosphorus, as far north as the Black Sea. With additional destinations around the Sea of Marmara, İDO runs the largest municipal ferry operation in the world. The city's main cruise ship terminal is the Port of Istanbul in Karaköy, with a capacity of 10,000 passengers per hour. 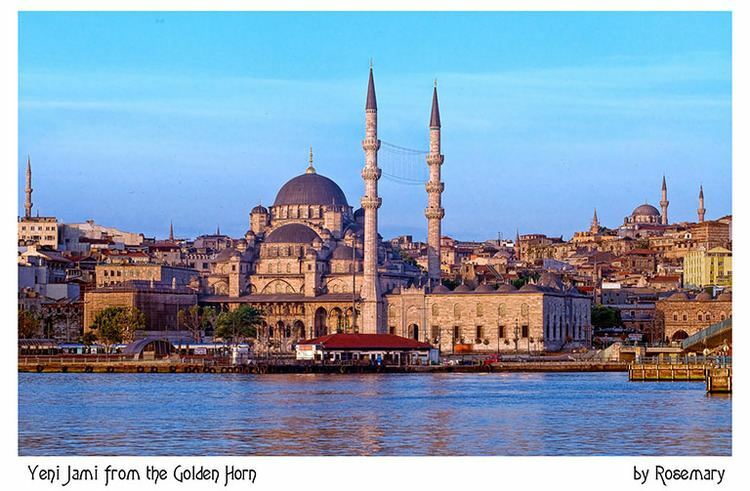 Most visitors enter Istanbul by air, but about half a million foreign tourists enter the city by sea each year.